When it rains, it pours. And when it pours, a retail giant calls upon Gallant for flood relief. 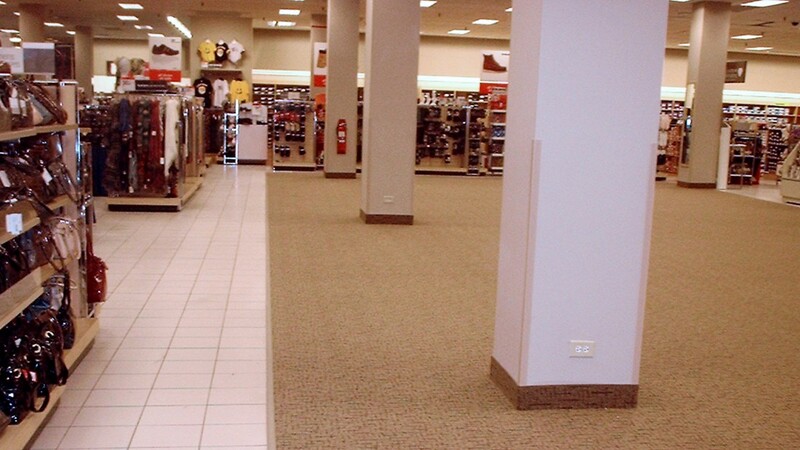 Two floors of this Niles, Illinois Sears store flooded during a rainstorm, and it was our job to return the floors to their pre-soggy condition. All the millwork had to be removed and replaced, along with the carpet. And to really put us to the test, we had to do all the work outside of store hours, with no signs of construction visible to Sears customers. To ensure high-quality, discreet work, Gallant repaired the floors in phases. First our team calculated how much of the ruined carpet could be removed and how much new carpet could be installed each night. Then we went to work, removing the old and installing the new for each section and returning all shelving to its proper place each night. Our smart project phasing allowed us to repair the damage quickly and keep the store free of construction noise and clutter. Sears was ecstatic with our continual communication, expert coordination and fast results. We’re available whenever you need us.